The car yard on the south side of Luzerne Depot was always an interesting place to poke around. In the late 70s, cars bound for the scrap yard were kept here, including a number of air cars that looked basically untouched since the 1950s. All-electrics and Kansas City cars in need of repair were kept here too. 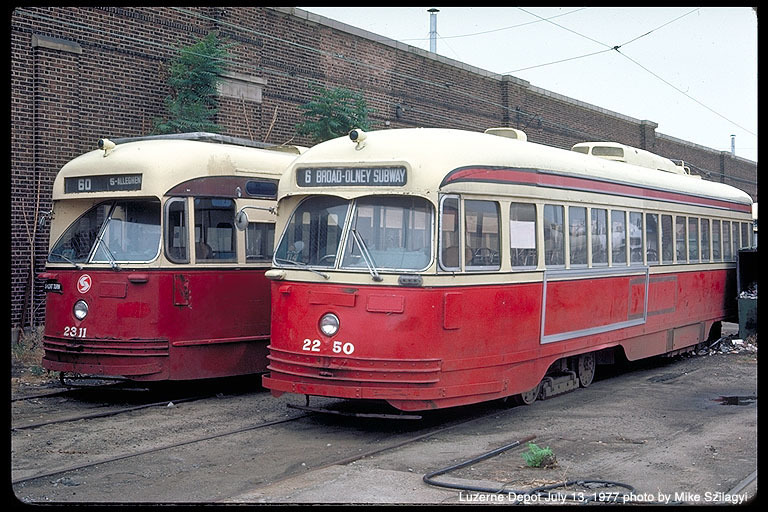 Ex-Birmingham Alabama PCC 2311, left, and Ex-Kansas City PCC 2250 are still in red Toronto Transit Commission paint. Constructed in 1946, both cars would remain on the SEPTA roster until 1982.